As we look forward to our 100th anniversary in 2025, help us in cementing our future so that the mission and vision begun by the Sisters of Charity in 1925 may continue for generations to come. Please consider Immaculate Conception High School in your will. Your contribution will make a difference in the lives of future Immaculate graduates. Not only that, but you will also become a member of the Father Burla Legacy Society! Click here for more information. It is easy! Simply contact your attorney, and tell him that you would like to make an amendment or codicil to your will. ___________ % of my estate. 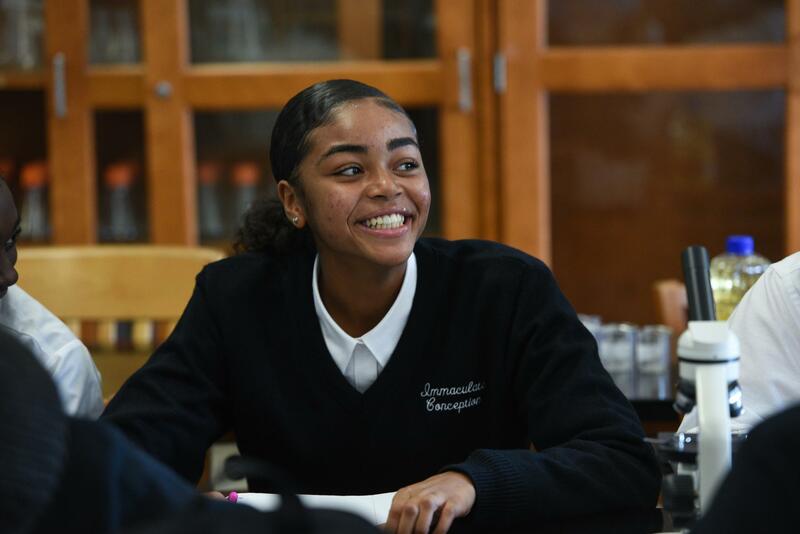 I would like to give Immaculate Conception High School ( Tax ID 59-3777566)), a nonprofit school in the state of New Jersey, located at 33 Cottage Place , Montclair, NJ, 07042 , the sum of_____________ or_________ shares of stock in in _____________ Company. You may name Immaculate as a beneficiary of your IRA or other qualified retirement plans. not require an attorney fee, and the gift could be free of both estate and income taxes. Consult your tax advisor for specific advice on the tax benefits of your gift.